Bear Grylls. Explorer. Adventurer. Survival expert and Chief Scout. And now author of a book on how to survive… pretty much everything. It’s a real mixed bag – some really practical and useful advice, like how to make a fire, survival shelter, and navigate. Things I could use with my Scout group. Then there are other, more esoteric chapters – how to escape quicksand, how to survive a shark attack or flying a plane in an emergency. Stuff that you hope will never happen – and if it does, I’m not sure I’d be able to remember what Bear had to say! With each section covering 12-15 sections – Bear certainly covers most of the bases when it comes to surviving stuff. 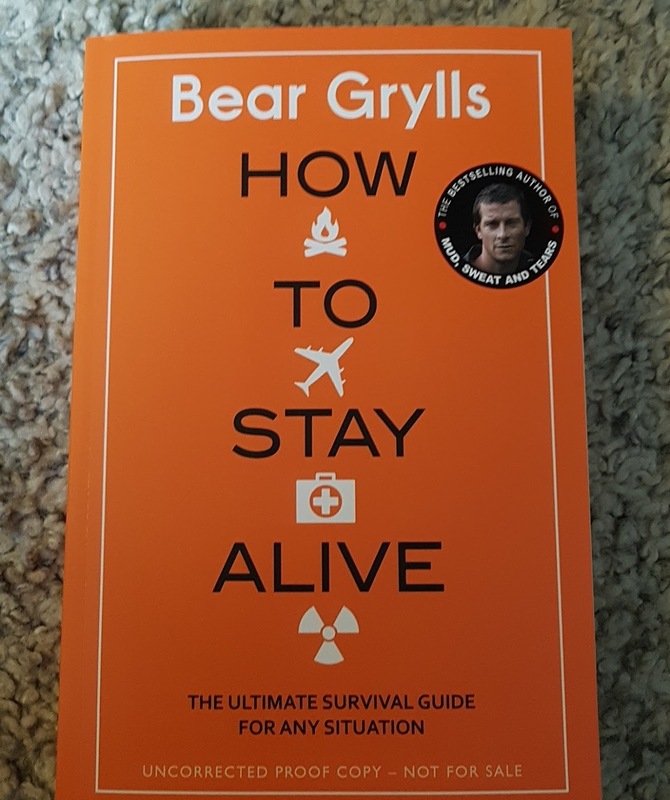 As I say, some of it was more directly and regularly useful (especially as a Scout Leader) than others, but each chapter is short and pithy, with some useful advice. Some of it I’d heard before from Bear’s regular appearance on telly – I think that contestants on The Island should be given a copy! Sometimes I think the chapters were a little *too* short, but the style is engaging. Overall, I rather enjoyed How to Stay Alive. I know that Bear is one of those people you either love or can’t stand – I quite like his enthusiastic style and it comes across here. Perfect Christmas present for someone who’s got everything. Now they can survive anything too. Huge thanks to Bantam Press for the advance copy.